When Chetan met Tania, it was not exactly love at first sight. More like love at first rub. Chetan (from Mumbai) and Tania (from Bangkok) were both working as massage therapists on the Regent Seven Seas Voyager cruise ship. They quickly fell for each other and will be getting married in July. It’s exactly the sort of romantic story you’d expect if you watched enough episodes of The Love Boat as a kid. My wife, Jody, and I met the happy couple while experiencing the cruising lifestyle firsthand when my father-in-law took his adult children, his sister and their spouses on a seven-day cruise to celebrate his 80thbirthday. Regent Seven Seas is owned by Norwegian Cruise Lines, established in 1966 by the late Israeli-American tycoon Ted Arison. Regent’s cruises are small by comparison – our ship had only 700 passengers compared with the 5,000 on Norwegian’s gigantic “Escape” ship. To our surprise, our first cruise turned out to be delightful – albeit with a few trade-offs. On the one hand, everything is taken care of for you on board: you don’t have to pack and repack as you change destinations, porters carry your bags (no tipping allowed), the service is stellar and the food and drink abundant. Our cabin was larger than any hotel room we’ve ever stayed in, complete with a walk-in closet and a continually restocked, no-charge minibar. The biggest downside: you never really get to know the destinations you visit. Our cruise started in Miami before stopping in Havana, Cuba; Roatan, Honduras; and the towns of Costa Maya and Cozumel in Mexico. For all but Cuba (where we had a whole day in town), we were whisked from the docking terminal directly to whatever activity we had chosen for that morning. 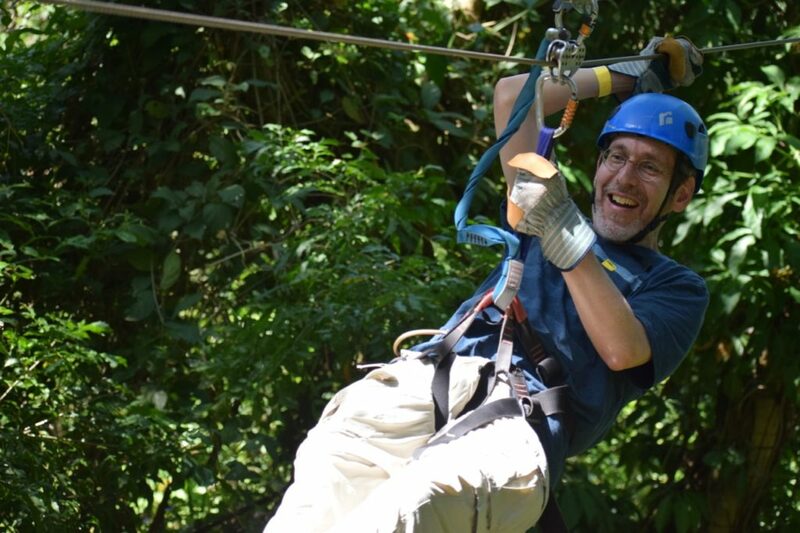 In Roatan, for example, Jody and I opted to go zip-lining over the rain forest. It was exhilarating…but that’s all we know about Roatan. What kind of people live there? What’s the political environment? Do business and industry thrive? Is there decent public transportation? We saw one other part of Roatan: the shopping mall at the port which sold tchotchkies at inflated prices. That was true for all of the ports. In Cozumel, we found a store hawking the softest sheets I’ve ever felt, made entirely out of bamboo. I asked the store clerk if they were from a local endeavor. No, he replied. The corporate headquarters were in Salt Lake City. I checked the Internet: the same sheets were available on Amazon.com for $100 less. Back on the ship, food was an ever-present actor during our seven days at sea. The best way to describe it is “gluttonous.” You want three entrees with dinner and four desserts? Go for it. There were no bills, no limits. During the cruise, I developed a penchant for pina coladas – delicious but not exactly calorie-free. 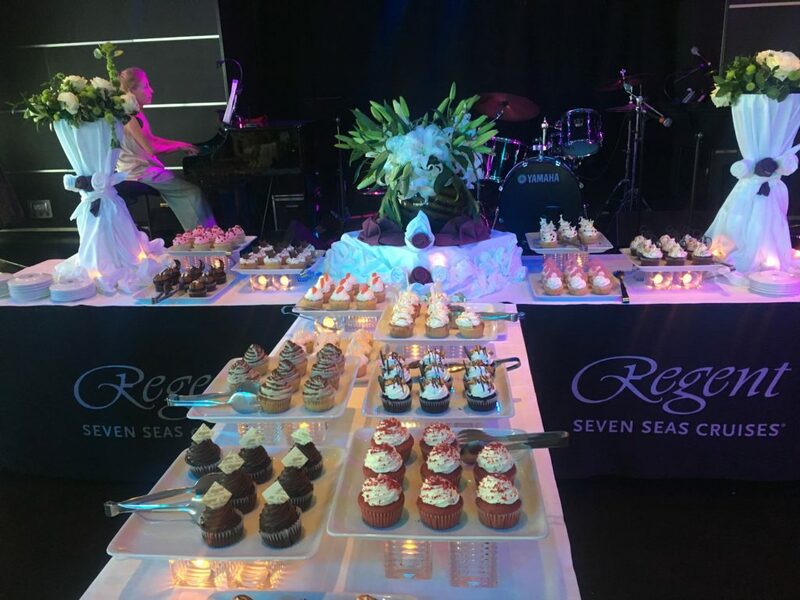 Near the end of our trip, I attended a lesson at the fitness center on “hacking your metabolism.” I was all fired up to tackle portion control on my last day on board, but then along came the 4 pm teatime special – 15 different kinds of gourmet cupcakes. I tried valiantly to eat just one. But when Roshan, the head pastry chef, came out to schmooze, my eyes got too big. “You know, if one of those red velvet cupcakes just happened to make it to my room, I wouldn’t object,” I said to Roshan. When we returned to our cabin, there were not one but two cupcakes elegantly arranged on a plate in our living area. 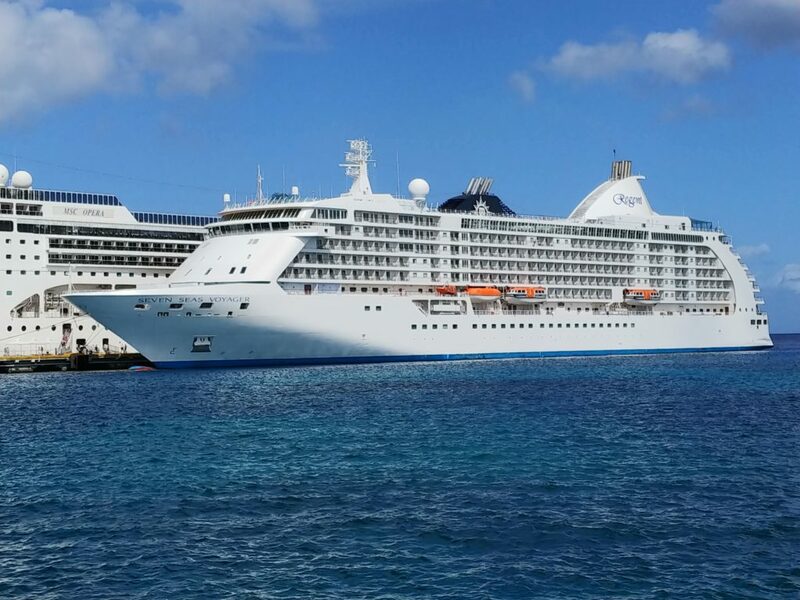 Cruises like those from Regent Seven Seas are all about customer service, made possible by a low passenger-to-staff ratio – our ship had 450 staff, all of whom were seemingly paid to be friendly. We couldn’t walk more than 10 feet before we heard “Hello sir,” “How are you today?” or the ubiquitous “Can I get you another drink?” It’s the opposite of Israel’s stereotypically surly service industry. Moreover, the staff is trained to anticipate your needs. One day, we went on an excursion that included snorkeling. When we got back to our room, the laundry line above the bathtub had already been drawn so we could hang our wet bathing suits. Our cruise probably had a good number of Jews, although we didn’t have any way of knowing. Other than the dozen or so people who came to the “self-led Shabbat evening service,” no one was sporting any identifiable religious attire. 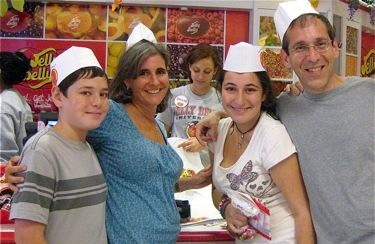 As for Israelis, we met one couple from Netanya (English-speakers originally from the U.K.) and a group of four Sabras … who had since immigrated to America. We didn’t find new love like Chetan and Tania on our weeklong Love Boat (not that we were looking for it), but we were pampered and treated so well that I’m looking forward to our next cruise (even if that’s not until we’re 80 ourselves). Maybe we can board a little closer to home than Miami. The Regent Seven Seas Voyager regularly sets sail in our part of the world; it docks in Haifa in April. I first reviewed the cruising life at The Jerusalem Post. Are Israeli scientists on the verge of developing a cure for cancer? That was the claim from an Israeli startup called Accelerated Evolution Biotechnologies (AEBi), first reported in The Jerusalem Post a few weeks ago. The story went viral and the company’s researchers were interviewed by breathless media outlets from Fox to Forbes. The only problem: it wasn’t true. Or maybe it will be true, but isn’t yet. Companies that dangle the potential of an imminent cancer cure provide an irresistible soundbite for evening news programs. They are of particular interest for people like me who have a chronic cancer and regularly scan the web for any hint of a future that won’t include chemo, radiation or other debilitating drugs. But as reporters drilled down in subsequent articles, it became clear that the company had yet to conduct clinical trials on humans. The promising results were only from mice – although that couldn’t be verified either, as the company hasn’t published its research in any peer-reviewed medical journals yet (the norm for scientific research), claiming it couldn’t afford to do so. Morad then admitted that clinical trials might start only “in a year’s time or so” and only if the company could raise enough money. Dr. Ben Neel, director of the Perlmutter Cancer Center at New York University was livid, telling The New York Post that “this claim is yet another in a long line of spurious, irresponsible and ultimately cruel false promises for cancer patients.” Other experts and publications followed suit with their own outraged responses. I understand why the story was disseminated so widely. Many people desperately want a cure to be discovered, whether that’s patients with cancer, their loved ones and caregivers, or those worried they’ll be among the 50 percent (of men, for women it’s a one-in-three chance) who’ll contract some form of the disease in their lifetimes. In Israel, cancer kills more Jews than any other disease. Around the world, 18 million new cancer cases are diagnosed each year. As a result, we cling to unsubstantiated claims like those from AEBi or to anecdotal evidence about wonder cures. My current dubious favorite: “Rick Simpson Oil,” a super-concentrated form of THC-rich cannabis that adherents claim can knock out cancer as it did for Canadian cannabis activist Simpson who boasted that, when he applied the eponymous oil to his own skin cancer, the spots healed in a matter of days. 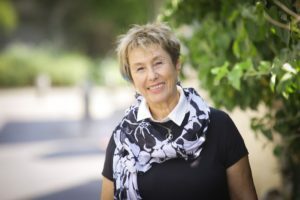 I agree with Karin Mayer Rubinstein, CEO of Israel Advanced Technology Industries, who warned that AEBi’s wild prognostications had “damaged the image of Israel’s life sciences industry.” Indeed, the attention attracted by the AEBI story does a disservice to the many companies and researchers working diligently – and according to scientific standards – on treating cancer. I’ve reported on a number of such companies in Israel. Tel Aviv-based Alpha-Tau, for example, says it has discovered a way to use alpha radiation to destroy tumors without harming the healthy tissue around them. In studies with squamous cell carcinoma, “we were able to eliminate more than 70 percent of the tumors entirely and to cause shrinkage of 100 percent of the tumors,” CEO Uzi Sofer told me. Israeli scientist Rony Dahan is developing a technique that may boost the effectiveness of certain types of immunotherapy drugs by up to 30 times. Dr. Michael Har-Noy’s company Immunovative Therapies is working on a product that attacks specific tumors, then “teaches” the immune system to hunt down similar cancer cells elsewhere in the body on its own. Ben-Gurion University of the Negev Prof. Varda Shoshan-Barmatz has developed a new molecule that her team says inhibits the production of a protein found in many tumors called VDAC1. It also “reprograms” tumor cells to return to their original non-cancerous state. Then of course there’s Kite Pharma, the company founded by Israeli Arie Belldegrun, based on work done by Weizmann Institute of Science Prof. Zelig Eshhar that resulted in the development of a truly revolutionary lymphoma treatment called CAR-T. Gilead Sciences acquired Kite Pharma in 2017 for some $12 billion. Personally, I don’t care where a cure for cancer is developed. But I will be extra proud if the solution to my own diagnosis is discovered right here in our own backyard. I first wrote about Israeli cancer research in The Jerusalem Post. While no one ever wants to get cancer, there are a few “benefits” to having the disease. In Israel, they fall into several buckets: financial (discounts on taxes), bureaucratic (my HMO assigned me a medical representative to help expedite drug approvals and shepherd paperwork), pharmaceutical (it was easy-peasy to get a medical cannabis license), spiritual (our “healing holiday” at the Ritz Carlton through the Refanah organization) and physical. The latter is perhaps best exemplified by the Yuri Shtern Holistic Care Center, which provides inexpensive touch and alternative therapies for both cancer patients and their caregivers. Yuri Shtern was a member of Knesset who made aliyah in 1981 from Moscow. He initially joined Natan Sharansky’s Yisrael B’Aliyah party and later moved to Yisrael Beitenu. 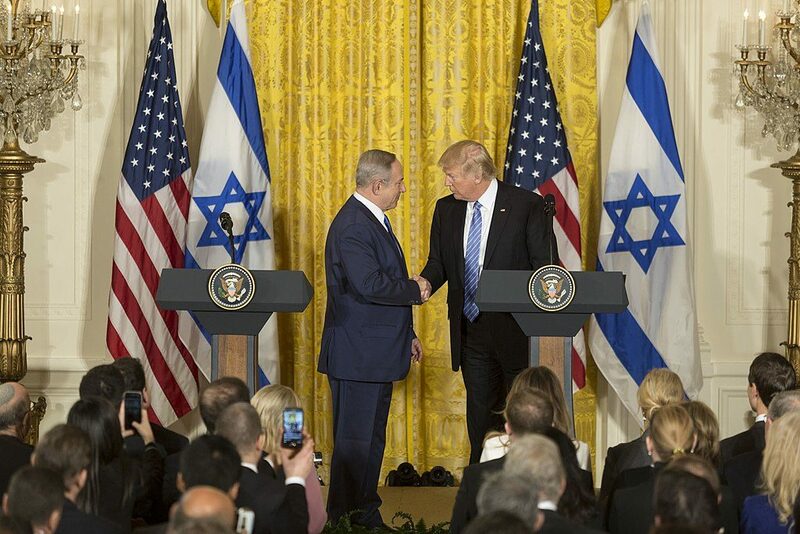 Shtern was actively involved in bringing thousands of Refuseniks to the Jewish State and founded the Knesset Christian Allies Caucus in 2004. Shtern died of cancer in 2007. During the last year of his life, Shtern’s wife Lena organized a variety of holistic treatments which she says significantly helped improve the quality of her husband’s life. Lena wanted to bring the same benefits to others suffering from cancer. She established the center in her husband’s name later that year, first at Sha’arei Tzedek Medical Center and later adding a clinic in Jerusalem’s German Colony. More than a decade later, the Yuri Shtern center now draws on the experience of 142 therapists, all of whom are volunteers (they give 3 hours a week of their time). That adds up to about 900 treatments a month – or nearly 11,000 treatments a year in total. Treatment at Sha’arei Tzedek is free. At the clinic, there’s a nominal fee of NIS 65 per treatment. At 40 minutes each, sessions are relatively short, but that’s still a fraction of the going price in Israel for such therapy of NIS 250 and up. Those suffering from cancer get up to two treatments a week for five years. Lena Shtern understood that caregivers need care too; they can receive two treatments a month. I started going to the German Colony clinic about two weeks after my chemotherapy started and took a smorgasbord approach to what’s on tap, trying out a different therapist each time. I’ve done all manner of massage (shiatsu, Swedish and Thai), reflexology (a focused foot massage with medical intent), and a kind of energy healing called craniosacral therapy. Also available: yoga, Chi Gong, focusing, Breema, Reiki, Feldenkrais, acupuncture and traditional talk therapy. While I’m not a professional massage connoisseur, I have had body work all over the world. On a trip to Bali a few years ago, my wife Jody and I had a massage a day – at $7 for an hour treatment, how could we not? We even had a full day at a spa for under $50 – including lunch. In Bangkok, we sought out the famous massage school on the grounds of the Wat Po temple. My masseur was excellent but a bit too chatty. I think he was trying to improve his English. In Nepal, after hiking 11 days in the Himalayas, we treated ourselves to a massage in Kathmandu. The idea was sound but the masseuse went to town on my back and I left there achier than when I arrived. A massage at a 5-star hotel in India found me completely naked on a hard wooden table. No soft mattress, no pillow for my head, no towel (and no relief from pain when he dug into my shoulders). So how do the treatments at Yuri Shtern compare? It of course depends on the therapist, but I’ve been very pleased. When you’re feeling as rotten as I sometimes did after chemo, any touch is welcome. As has been getting to know the therapists. Some are professionals who work in the field when they’re not volunteering. Others are on second careers. For example, Ruth was a speech therapist who now does medical and Thai massage. “No one ever said to me, ‘Wow that was amazing, I loved it’ after a speech therapy session,” Ruth told me. But that’s exactly how I reacted after her massage. For the past few months, I’ve been returning to my favorite masseuse who specializes in deep tissue massage. One day, the appointment after me canceled at the last minute and I was offered a double session. It was hands down the best massage I’ve ever received. The Yuri Shtern clinic is the only one of its kind in Israel. There are other organizations offering medical massage, but not with volunteers and not at such discounted prices. There’s certainly the need. According to the Israel Cancer Association, there are 250,000 cancer patients in the country with more than 30,000 new cases of cancer being diagnosed every year. While the price to gain access to this wonderful world is steeper than anyone ought to pay, it’s been a relief to know that a break from my day-to-day cancer experience is just down the street. I first wrote about the Yuri Shtern clinic at The Jerusalem Post. The SUV was right on my tail, flashing his lights and frantically marking his territory like a mean dog without a muzzle. Classic road rage. The Merriam-Webster dictionary describes courage as “the ability to do something that frightens one.” How do you define courage?